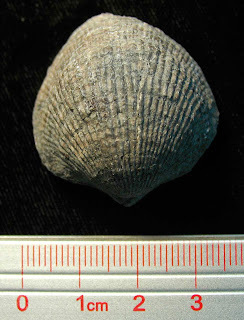 This fossil appears to be a Pseudoatrypa sp. 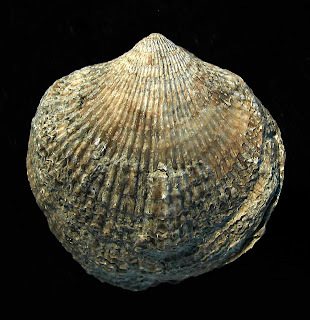 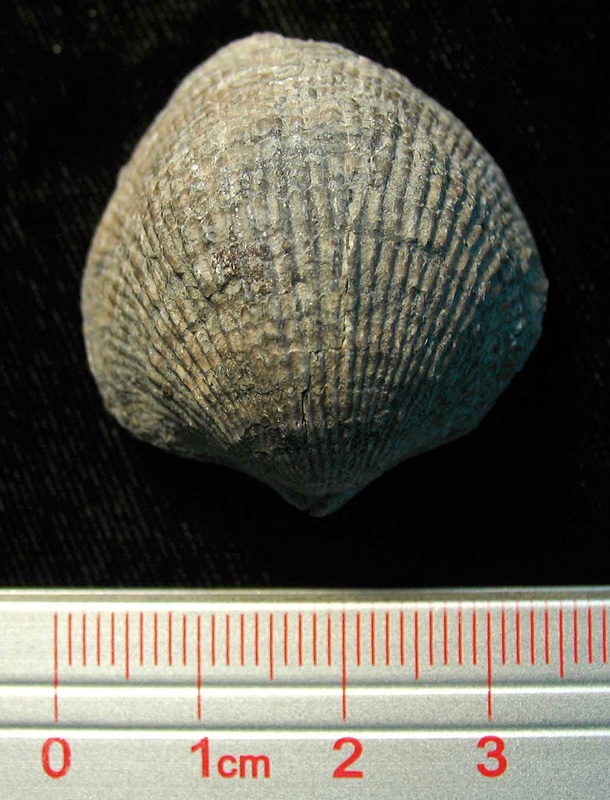 brachiopod fossil. 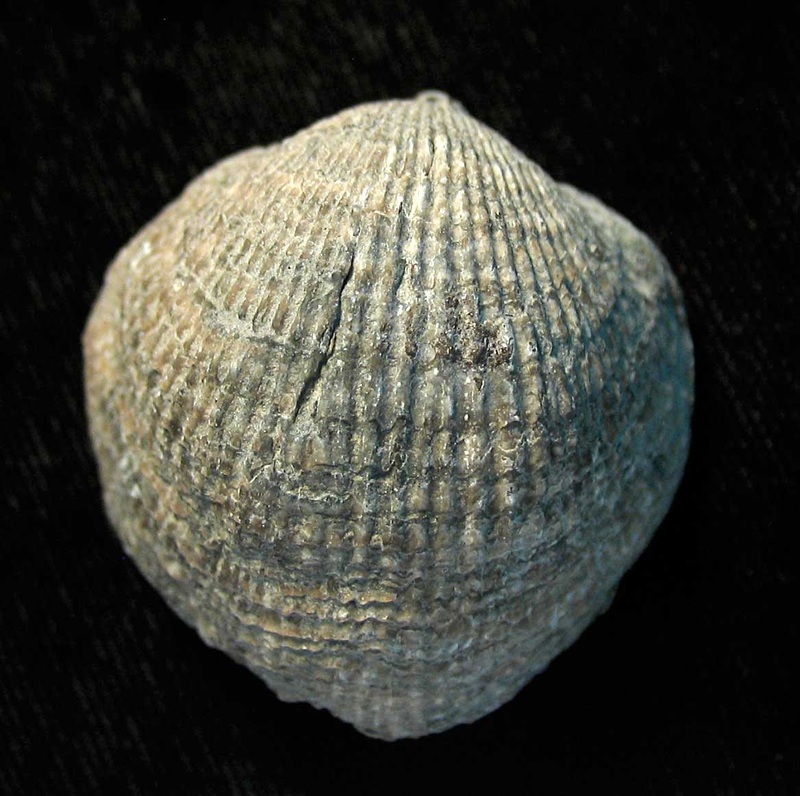 It was found in the Silica Shale of Sylvania, Ohio, USA. The fossil dates to the Middle Devonian Period.